For your convenience, we accept many types of insurances. The insurance plans we accept are listed below. If you don’t see your plan listed here, or if you have a question regarding whether Dr. Johnson accepts a particular insurance, please call (480) 219-0013. We look forward to hearing from you. Dr. Johnson is proud to be a member of the Banner Health Network. 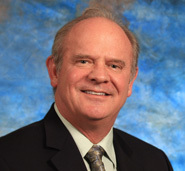 Dr. Johnson is proud to be a division of Arizona Associated Surgeons. ©2013 David C. Johnson, M.D., F.A.C.S. | All rights reserved.